As the Verizon version of the Galaxy Note 2 started to arrive in customers hands this week, many were quick to point out the fact that “Swiftkey Flow” was listed in the keyboard settings. As we wrote earlier, Flow is the newest keyboard from Swiftkey that will enter beta testing in the very near future. 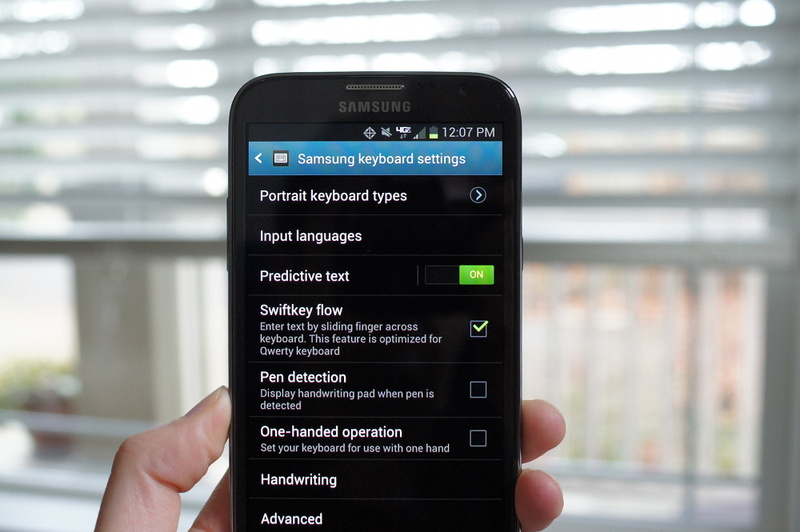 It’s very much like the new Android 4.2 keyboard, which has gesture typing that predicts in real-time. With the 4.2 keyboard, and the beta version of Swiftkey Flow, both change the predicted word as you swipe between letters. It’s very cool. The version of Flow on the Note 2 is not even close to being the same. Sure, it allows you to swipe between words, just like Swype has done in the past. However, it does not predict in real-time, but instead offers suggestions after you have fully swiped a word. It works, but the new beta version is what you should all be excited about. We have two videos below to show you the difference.